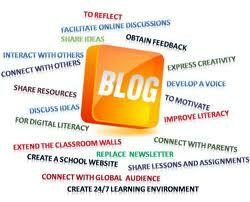 Blogging is increasing becoming popular with more people finding interest in starting their own blog in Kenya. I see this as a good thing especially because blogs in Kenya provide constant content adding value to the internet experience for internet users. So should you also join the blogging community by starting a blog in Kenya? Lets look at a list of reasons which make help you make that particular decision and some how guide you to where to start. So Why Start a Blog in Kenya? To voice your thoughts or opinions on various issues. A blog provides you with a opportunity to voice your view or take on a certain issue. Do you have a solution for a certain issue or have you gone through an experience that you would like to share with people. This may be for the simple reason to help other people who may be going through a similar situation. This type of a blog can be a parenting blog offering parenting tips or a health related blog. Are you an expert in a particular field? We have very many experts in this country but there is a shortage of local information on the internet. So why not start a blog and offer information in your field of expertise. The beauty about writing in your field of expertise is you become the authority on the internet in that particular field. This can also give you an opportunity to even offer services or get hired for speaking gigs on that particular topic. A blog in Kenya gives you a legitimate platform for an unique online presence. Online marketing requires businesses with an online presence to provide constant content in order to attract traffic, this is most probable with a blog in Kenya. A blog in Kenya provides you will an opportunity to connect with people. There are always people who have similar interests like you. Your blog provides you with an opportunity to find this kind of people. A bog can also offer you a chance to make a difference. You can use your blog to persuade people to think in a certain way. For example if you want to raise social awareness on an issue e.g. street children a blog is one sure way of both raising awareness and promote action. One element of a blog I like is acquiring additional knowledge. With a blog in Kenya you will need to update it which means you will have to find content to post. This poses a challenge if you are not able to constantly find new information to post for your readers. So as a blogger you will need to keep abreast with the latest in your niche and find new information to share with your readers. Did you know that you can make money from your blog? Yeap, you can start a blog in Kenya and get paid from it. Word of caution though, a blog is not an instant cash generator but it take both time and patience for your blog to make money for you. There are bloggers who are making tons of money but it has taken them time to get there. You can make money through advertising on your blog. There are various income generating avenues available for you to monetize a blog. But first things first, start by setting a blog in Kenya. Hi Pauline, I find the information really helpful. I have tried several ways, mostly online but I have not found a place I can earn from my talent. I am 18 year old and currently I live in Nairobi. Hi Samson, I encourage you to think of the online market on different from being in a physical market place. First search for communities with similar passion as yourself then interact with them. It is during your interactions that you will be able to identify what services you can provide to them. Do not give up, some one out there needs your services. Starting a blog to share one’s expertise is something good. It is similar to how you can offer a solution to the people who need it – only that while you are asleep (or working on other things offline), your blog does the work for you – providing answers (or solutions) to questions (or needs) others may have. Businesses can also use them to answer frequently asked questions in a thorough way, giving their customers or clients, the answers they may be seeking during the sales cycle.